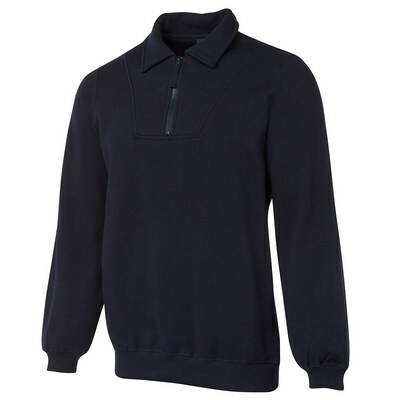 Enjoy the relaxed style and comfort of this classic fit fleecy sweater, featuring a zip-up neck for added convenience. Zip it up. Detais: Classic fit, 80% Cotton, 20% Polyester, Cotton Rich CVC fleece, Elastane hem for added comfort, 2x2 rib cuffs. Colours: Black | Navy. Sizes: S | M | L | XL | 2XL | 3XL | 4XL | 5XL.